Diabetics are at higher risk for high blood pressure, leading to heart disease. Too much salt raises your blood pressure. Go for herbs and spices for flavor. Limit salt to 2300 mg a day, max. We need to watch out for our health and the last test showed blood sugar which is fine. But, I am in high-risk cholesterol and need to work out a plan to go back to stable. Take good care, Vishal! 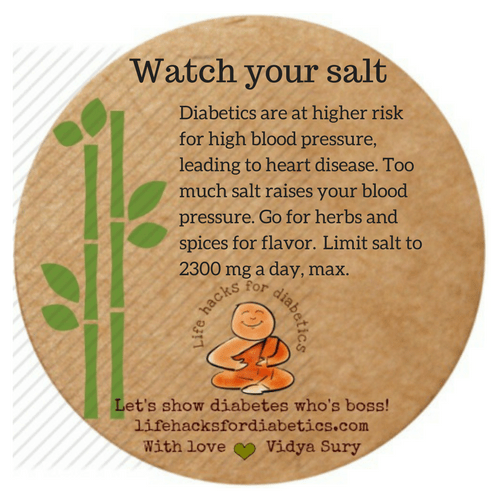 Salt is an enemy of blood sugar and cholesterol!